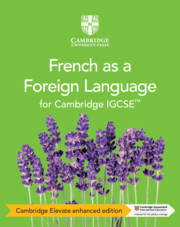 A flexible suite of resources providing full coverage of the Cambridge IGCSE™ (0520), IGCSE (9-1) (7156) French as a Foreign Language syllabuses for examination 2021. Written by practising teachers, this workbook helps students further develop the skills acquired through the course. 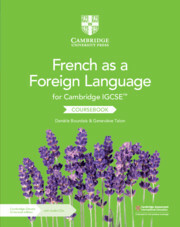 Practical exercises expand and enhance the materials in the coursebook, supporting students through the Cambridge IGCSE™ French as a Foreign Language course. 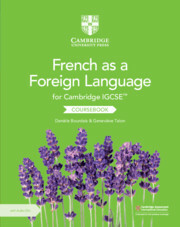 Practical exercises expand on concepts taught in the relevant units of the coursebook. Suitable for homework or as classwork material. 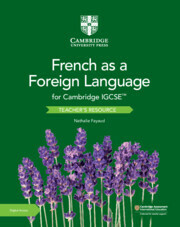 Offers additional support to students to further develop their language skills. 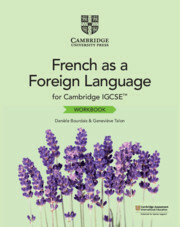 Completely in French, with an international outlook and a focus on francophone cultures around the world. Unit 12. Jeune au XXIe siècle.